You are here: Home / Great Deals / April’s WalMart Shopping Trip!! Hi Dian, Happy Happy Mother’s day to you! 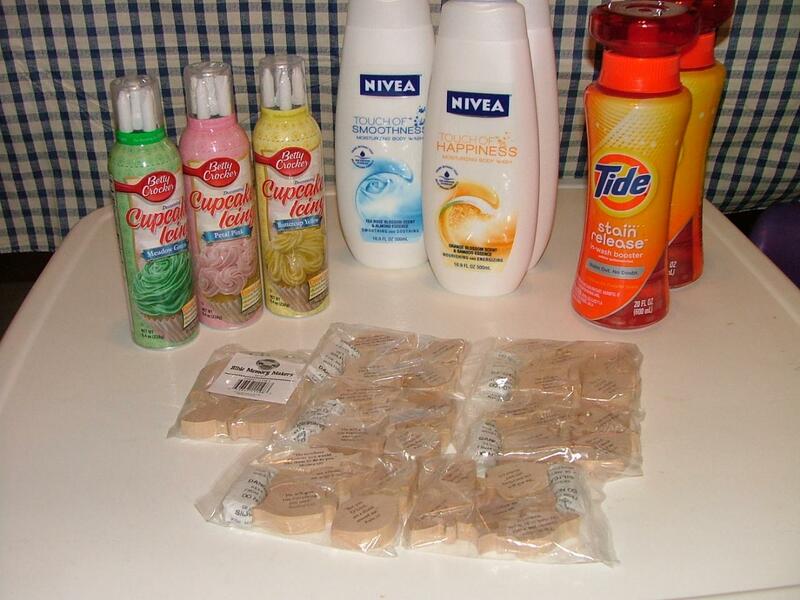 I went shopping today and I saved a ton of money. I am sending you a pic of the stuff that was free or super cheap and a copy of my receipt showing I saved $26.40 with coupons oh and a pic of the cupcakes I made for my church family. Hope you had a wonderful mothers day. She saved a total of $26.40!! Great job, April!! 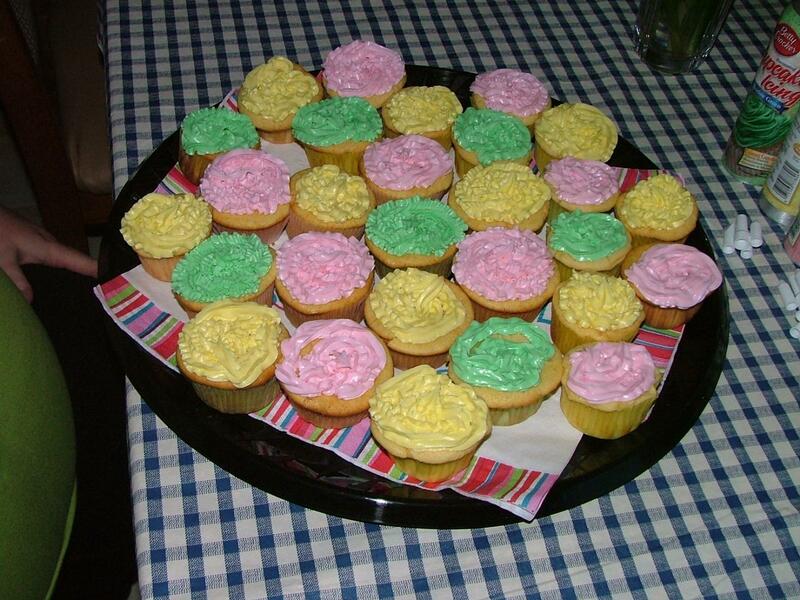 These are beautiful cupcakes she made for the people at her church for Mother’s Day!! Coupon Savings Cupcakes!! Way to go April and thanks for sharing with us! Do you have a deal or pictures and a story that you want to share, please feel free to get me the info and I will be happy to share it with everyone! I love to see your pictures and stories, it helps encourage everyone!! Oh Dian, The little bags in the front of the pic are little wooden fish with scriptures engraved on them. They are apparently left over from someone’s Vacation Bible School and I was shopping at the Salvation army thrift store and they had a small box on the side of the register and told me to take as many as I wanted for free! So I took 7 bags=35 of them and gave them to the lady at church who is doing this years VBS to incorporate it into the program. Great shop! I love seeing other peoples deals! Makes me wanna shop more! @Erika S: Me too! It’s so fun!